Our everyday low price with guaranteed results, get 12 months of proctection on Bermuda , St.Augustine, Buffalo Grass Zoysia, Fescue lawns or lawns with mix grass like Perennial Rye. Our program is a custom built program to fit your lawns needs. Texas Turf Landscape provides the best lawn care program available in North Texas and has become a top lawn care weed control turf care provider serving customers in Lucas, Fairview, Mckinney, Allen, Plano and surrounding cities. Its time to apply spring lawn pre-emergent to avoid unsightly weeds in early spring and late spring, don't wait until these weeds come up in the spring. It will be too late to rid some of those weeds and it will take several spray application on your lawn to rid them. Some weeds are to difficult to rid with just one lawn spray application. Bottom line, you will not be able to rid all weeds that appear in your lawn in spring and it could take up to full season to correct the problem. Lawn Pre-emergent is the most important treatment for lawns and pre-venting weeds before they become a problem. Call today to set up your Pre-Emergent treatment. Best time to apply pre-emergent for your lawn is in the early spring, mid summer & fall here in North Texas. Best time to start a lawn program is now, weeds grow 365 days a year and certain weeds peak out at different times of year. Best way to prevent unsightly weeds in your lawn is to be on a full season lawn program. Texas Turf understand the different types of weeds here in North Texas and we use the correct type of pre-emergents to give you 100% protection against unslightly winter grasses, annual broadleafs and summer time crabgrass. Buying base store granular pre-emergent may not give you 100% proctection from all weeds. Most companies just apply two basic application to your lawn and that doesn't work 100% to prevent unsightly weeds. Texas Turf Landscape covers all types of weeds with our custom pre-emergent program. Click on the link below to find out what weeds you have in your lawn. Is your bermuda lawn turning yellow? Apply Summer Stress fertilizer now with Iron & Mirco nutrients to green up your lawn give it a boost. includes spring pre-emergent, fertilizer & post control spray all existing weeds in law. Having a major problem with crabgrass can ruin your lawn and cost thousands to replace your lawn. Start a Texas Turf Care program today & save your lawn from being ruined from weeds like crabgrass.. Let Texas Turf Lanscape Care for your hard to control lawn weeds. It takes special custom program to rid dallisgrass, nutgrass, rescue, ryes and crabgrass. 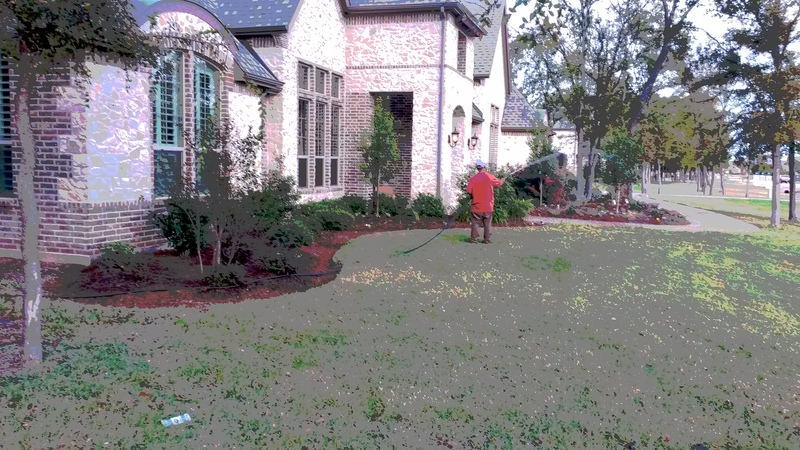 Texas Turf landscape Has Custom Lawn Care Programs for Fall, Winter, Spring & Summer. It is very important to treat your lawn in fall & winter months to prevent serious problem with cool season annual weeds in spring & summer. Weeds like Henbit (purple flower spring weed) thistle ( grows tall purple leaf thick stock) Summer time Crabgrass & spotted spurge. Lot of weeds have large seed bank that could be built up in soil for many years, it takes a 12 month program to start to break this seed bank cycle of annoying weeds like crabgrass. Fall Granular & Liquid Based Pre-Emergent to prevent weeds like henbit, chickweed & Crabgrass. Summer time can be very difficult time to rid weeds and provide your lawn the right type of fertilizer. Your lawn is starting to stress from the heat. We can provide you with the right type of fertilizer for your lawn based on its needs right now. We specialize in turf care management and do not apply the same fertilizer to every lawn. We will build you a custom turf care program that you have never experienced before. Its time to apply summer stress fertilzer now and treat with a preventative application and post spray visit to start to rid your Crabgrass, Nutgrass and Spotted Spurge these weeds will and could take over your lawn. 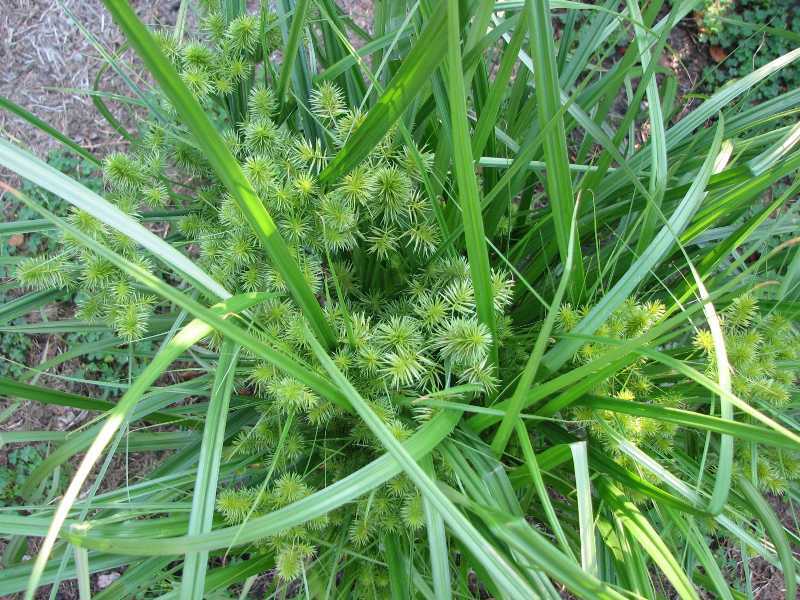 Do you have a dallisgrass problem? 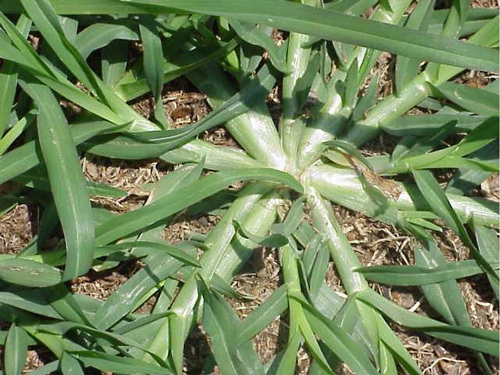 We can rid dallisgrass, crabgrass & nutgrass with our special Texas Turf Care Program for these hard to rid weeds. Our Texas Turf Care Program is specially formed to be used here in North Texas to rid these grassy weeds. 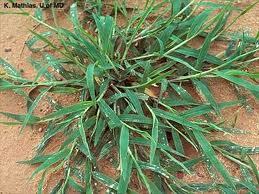 Let Texas Turf Care Weed Control specialist treat your hard to rid weeds today. Call us today to rid your dallisgrass, crabgrass and Nutgrass. Click on the link below to find out what it takes to keep a texas green lawn and what weeds you have in your lawn. ﻿Lawn Care in Texas provided from Texas Turf Landscape we specialize in residential lawn care & weed control at a very affordable price to homeowners. 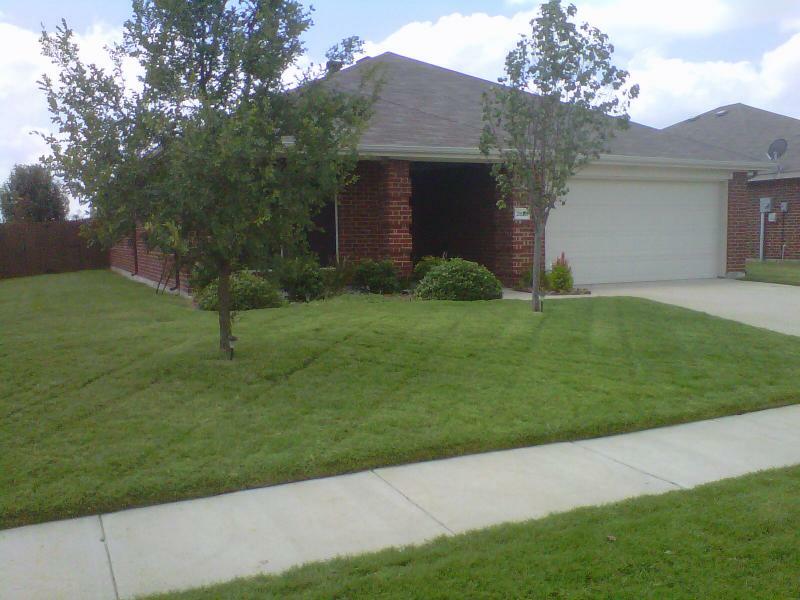 We are the lawn care specialists in Collin County servicing lawns in Mckinney, Fairview, Lucas & surrounding cities. Lawn care is provided by Texas Turf Landscape is a custom built lawn care program that fits your buget, and can be paid out over 12 months to reduce the cost of lawn care during peak months﻿. Click here now to start! We provide guaranteed results or we will retreat your lawn at no extra charge to you. Your lawn is our lawn, our lawn service treatment weed control & lawn fertilzer for just $29.95*, we can't be beat in price on our lawn program !!!! We spray weeds, fertilize lawns, and elminate bugs, have lawn problems we are here to help. we fertilize your lawn or spray your weeds and you don’t see noticeable results in 21 days, just simple call us @ 972-363-7600 for a 100% free follow up visit to correct the problem. Sign up for our annual lawn care program and receive 10% off our exterior ant and bug control program. Best weed control for the best price, we use top quality fertilizer blends for Bermuda grass as well for St. Augustine lawns. Our best weed control products are a special blended mix solution to eliminate all weeds in your lawn at any time during the year. Your lawn program starts with consistent visits to your lawn using the best weed control mix solution that is needed in NorthTexas, ﻿Texas ﻿Turf Landscape will provide you with a custom weed control & fertilizer program for a great price. Call us today for a complete lawn analysis of your lawn & landscape. Copyright 2011 Texas Turf Landscape. All rights reserved.